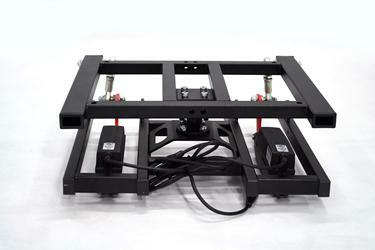 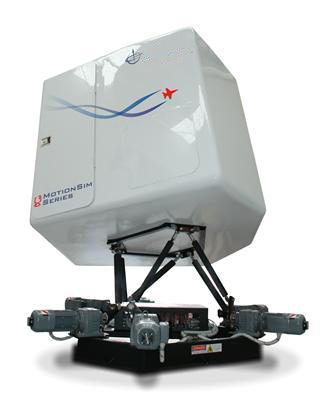 Included with our helicopter simulator portfolio is a Jet Ranger simulator with dual controls. 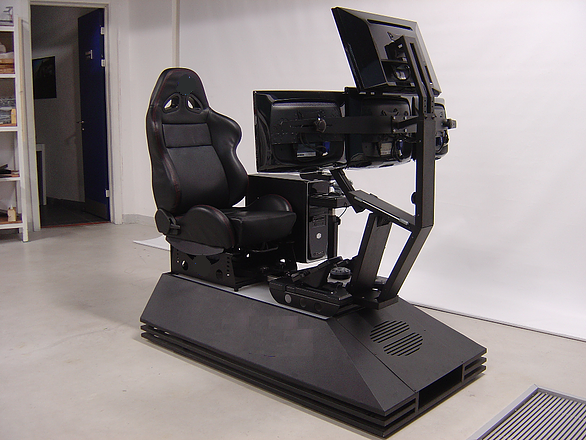 1 x High End PC for simulation of instruments and Single Channel Visual. 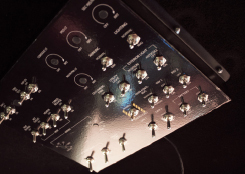 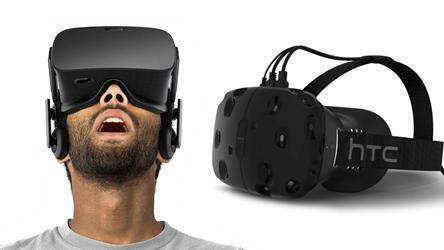 Optional: Control Loaded Cyclic, Collective & Torque Pedals, Multi Channel Projection Systems, Virtual Reality. 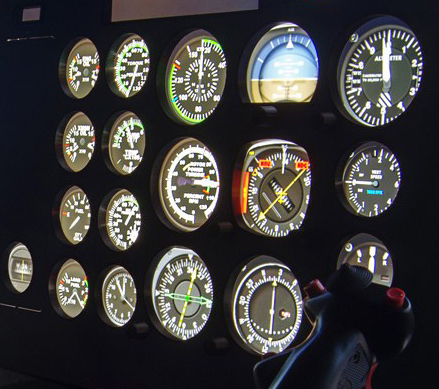 CASA FSD2Cat B Accreditation already certified. 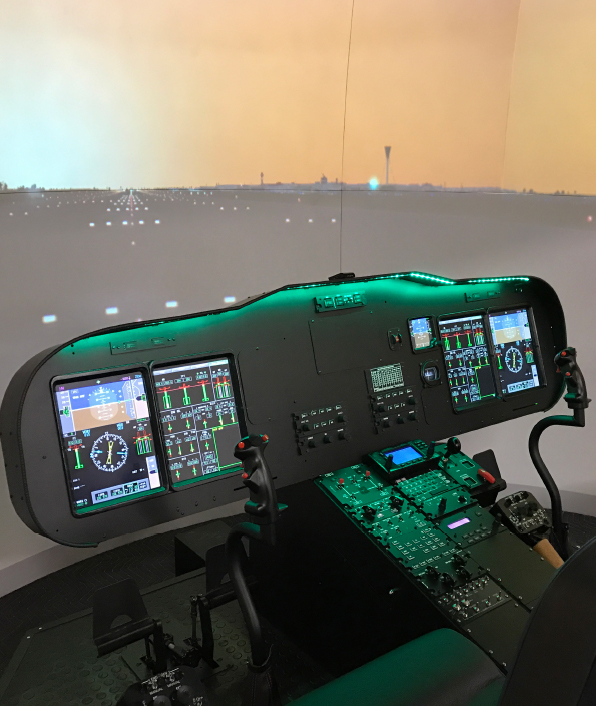 The Augusta Westland 139 (Leonardo AW139) is fast becoming the rising star of the helicopter world due to its sheer versatility - yet as we looked around there was a clear absence of high quality trainers at an affordable price. 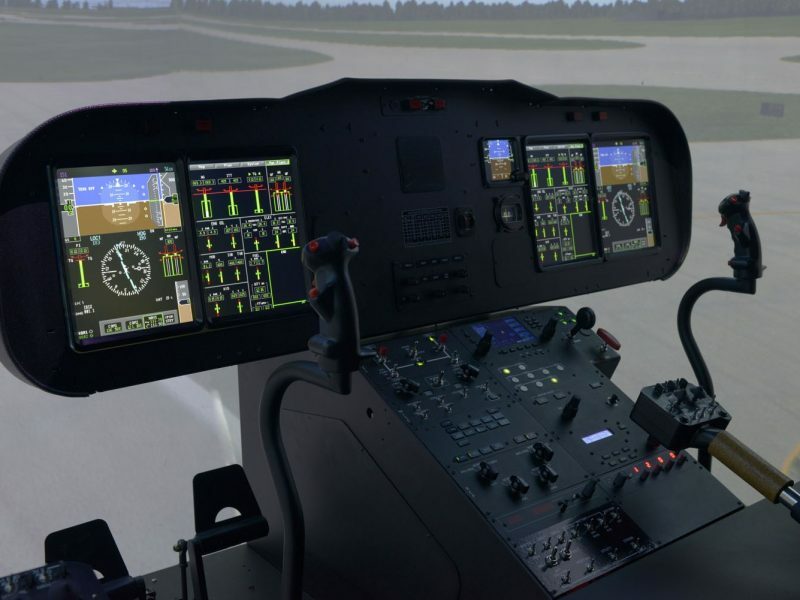 So we introduced the GeoSim AW139 Trainer, a high-fidelity trainer with accurate reproductions of the EPIC PRIMUS PFD and MFD featuring many important functions that you would find on the real units. 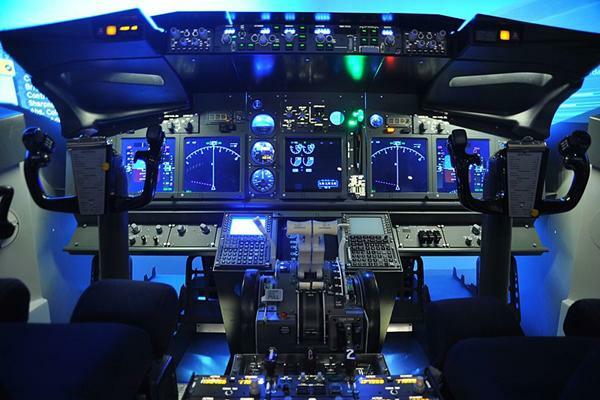 We believe quality training is key so we have also accurately recreated many of the instruments youd expect to find such as the RIC, Flight Director, NavCom and Fuel, Misc, Audio, PMS panels. 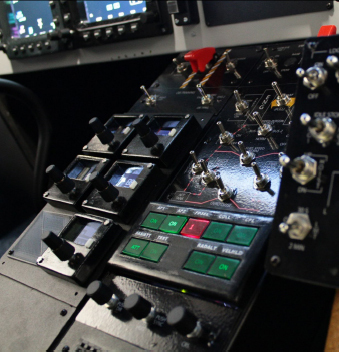 Our unit also features immersive AW139 replica controls modelled off the real aircraft. 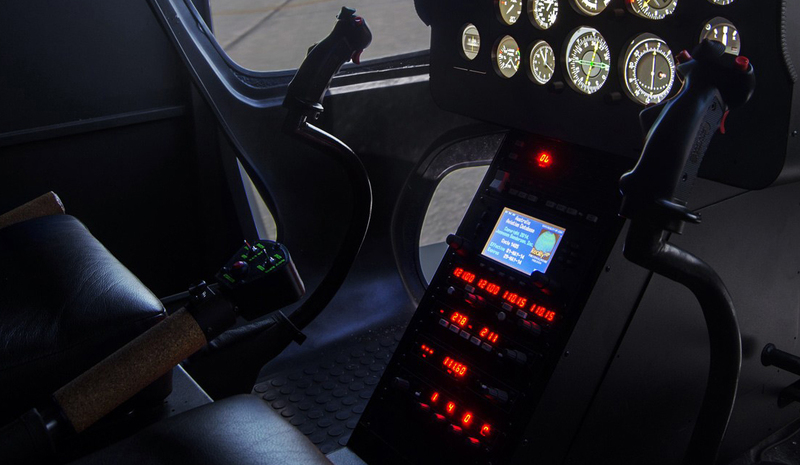 The AW139 pedals, collectives with AW139 collective heads and our NEW force trim system are perfect to gain the attention of the pilot and keep them immersed. 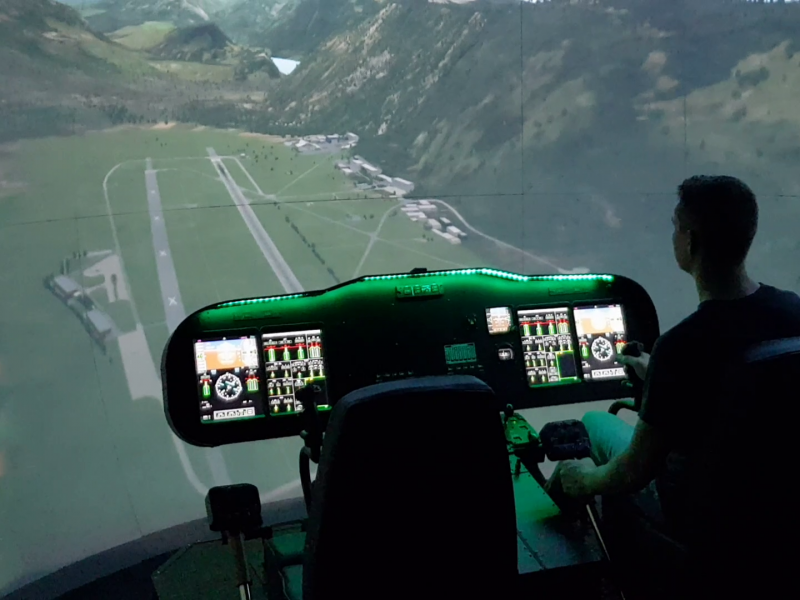 For unparalleled immersion we offer a range of DOME Scenery Presentation Systems including our 2.3 meter 180°, 3 meter 240° and 4 meter 270° wrap-around screens with vertical curvature to maximise peripheral view - an essential for helicopter simulation. 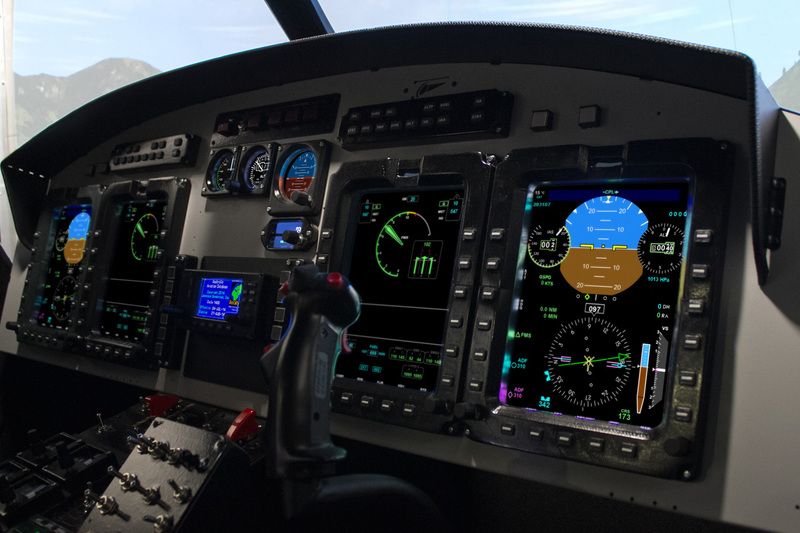 Customised to your cockpit layout! 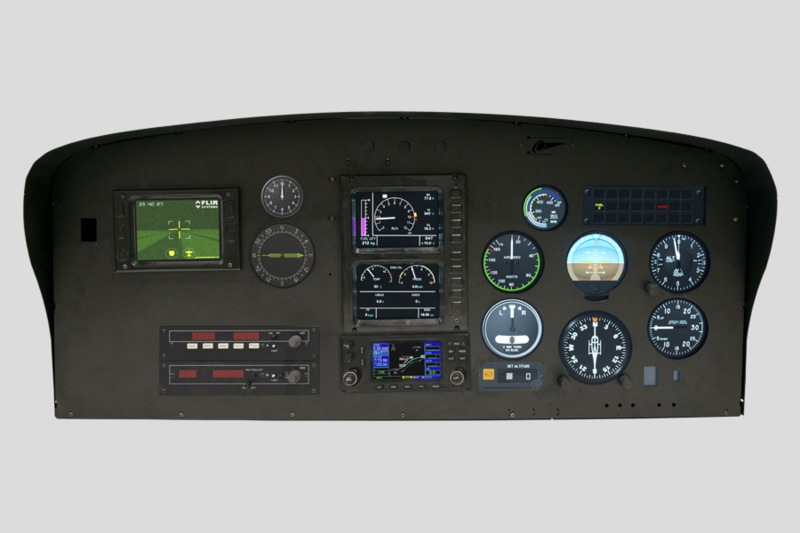 Since its introduction the Bell 206 has been one of the mainstays of the aviation industry. 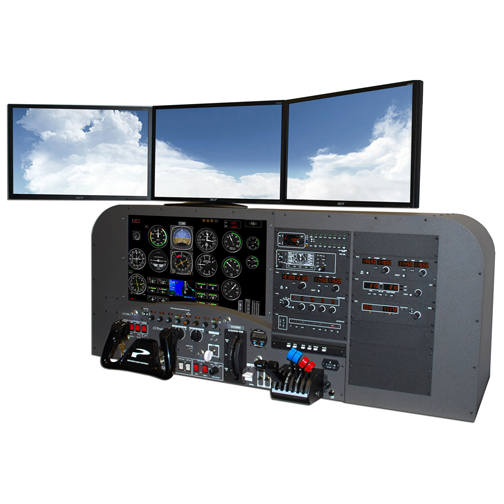 Similarly our Bell B206 Part Task Trainer has been one of our most popular flight simulators to date - its versatility lending itself to everyone from commercial operators to flight schools. 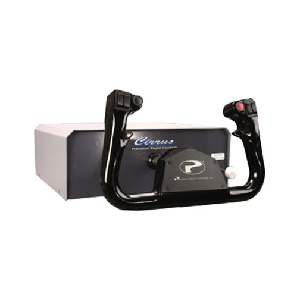 Our B206 model is available in both a full cockpit variety (perfect for one of our dedicated trailers) as well as a compact platform model for smaller spaces. 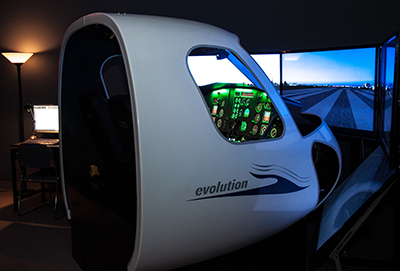 Combined with our unique Dome Scenery Systems our simulators offer a high level of immersion at an impressive pricepoint! Ideal for training Police, Oilfield Platform, Medical, Pilot Training and Public Transport Training Operations. 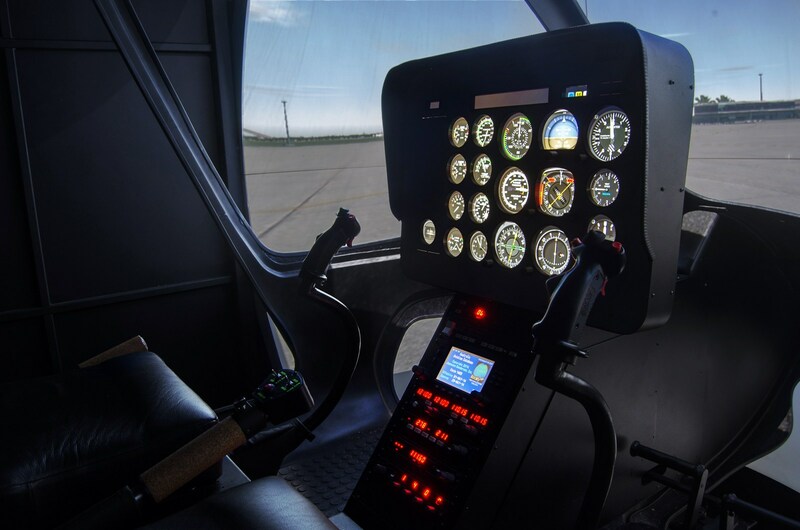 The Bell 412 has a long history as a reliable and versatile workhorse in the aviation industry. 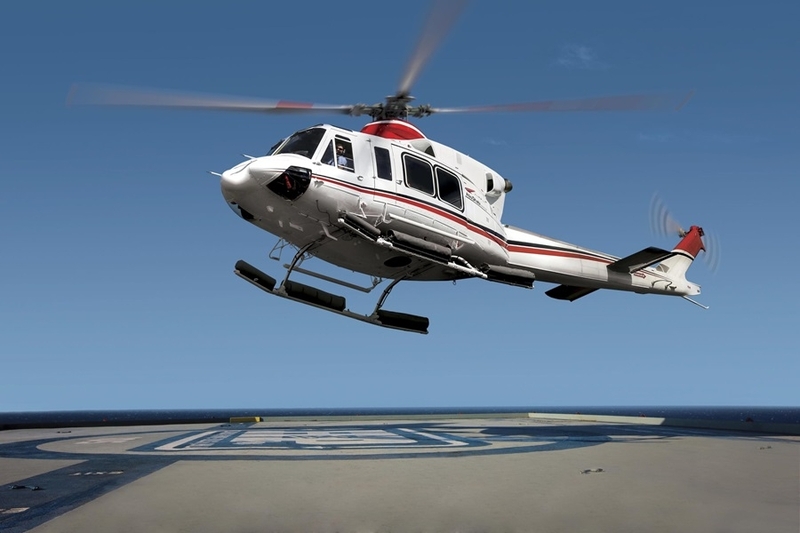 Consequently the Bell 412EP has been a popular update, marrying modern features to impressive performances boosts. 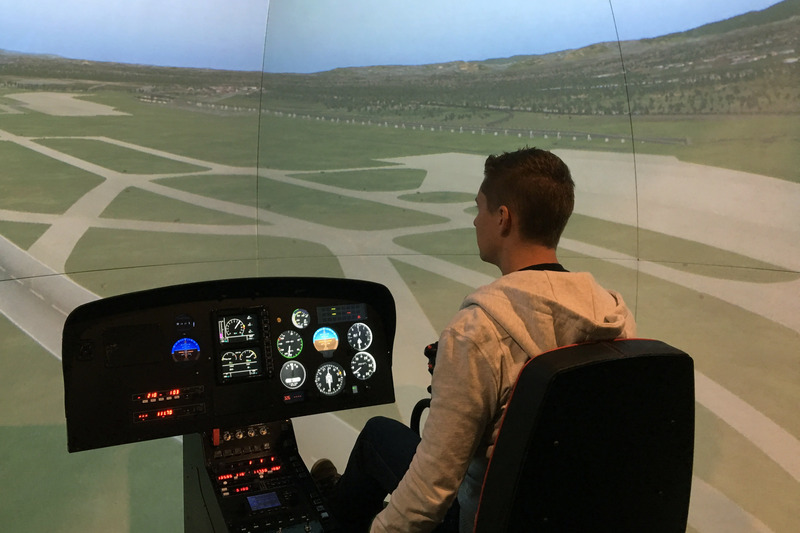 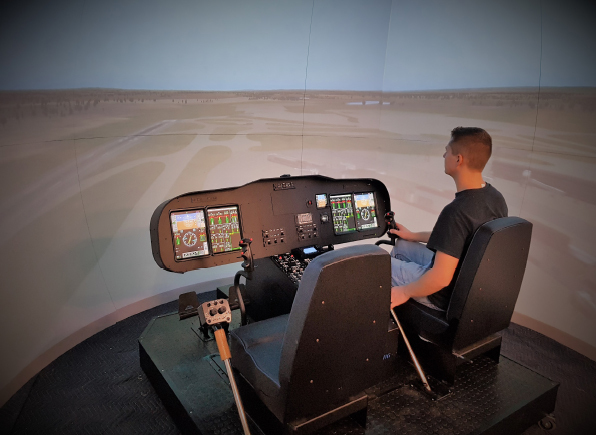 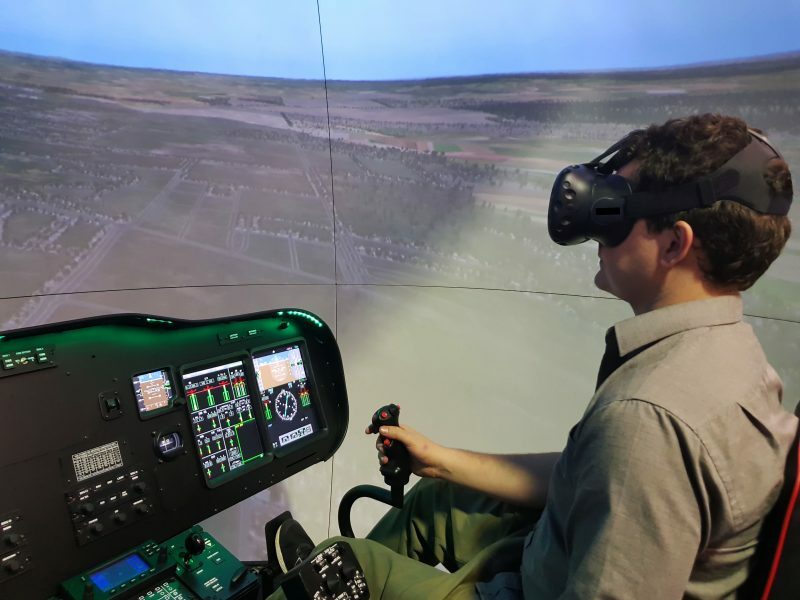 To answer the training needs of such an advanced helicopter GeoSim Technology has created an all-new 412EP simulator with a high fidelity flight model, helping to achieve better, safer training. 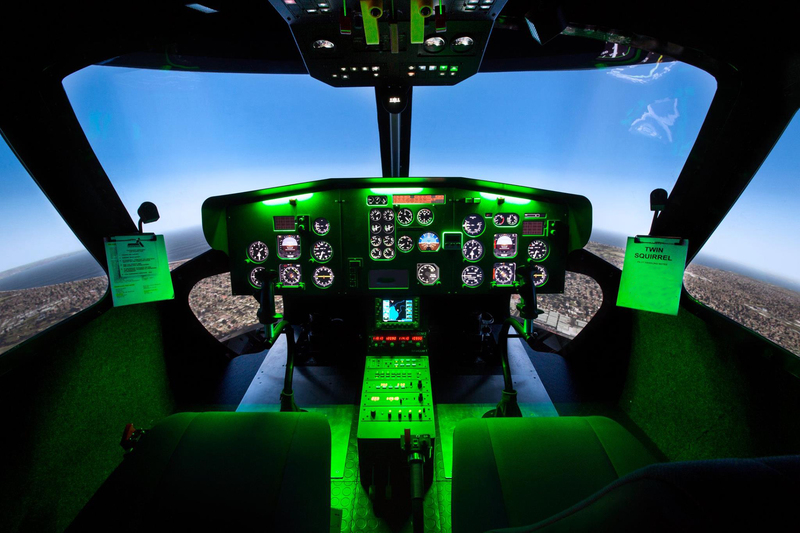 Our unit also features immersive controls modelled off the real aircraft complete with pedals, collectives with 412EP collective heads and centre console instruments to grab the attention of the pilot and keep them immersed. 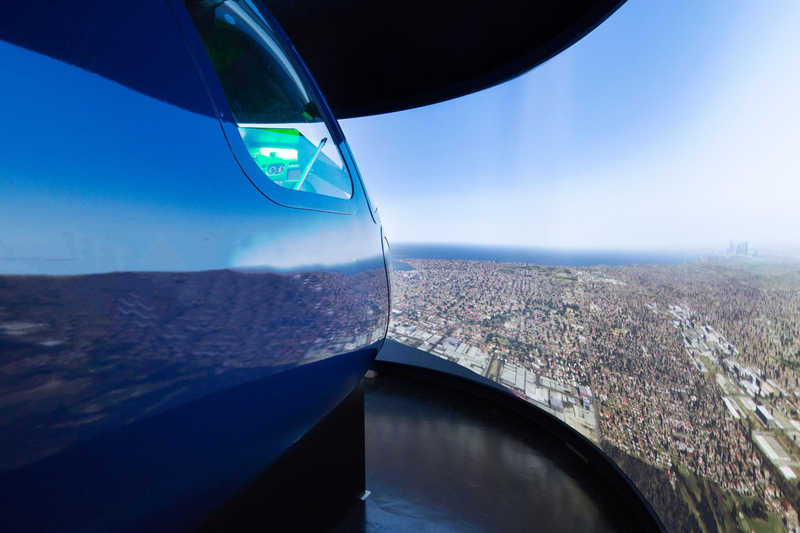 For unparalleled immersion we offer a range of DOME Scenery Systems up to 300° wrap-around screen with vertical curvature to maximise peripheral view - an essential for helicopter simulation. 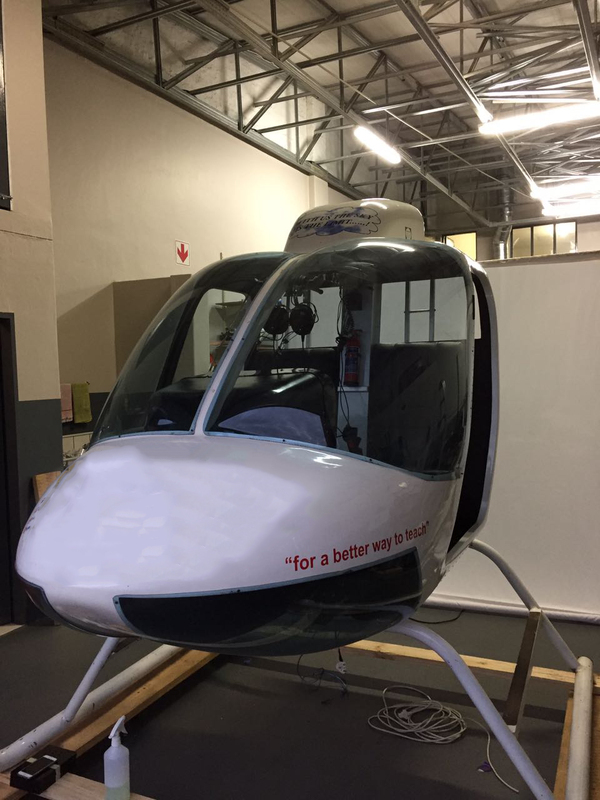 The Bell 412 has a long history as a reliable and versatile workhorse in the aviation industry. 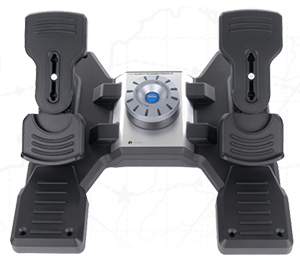 Consequently the digital update of the 412EPI and its Bell Basix Pro system has been a popular update, marrying modern features to impressive performances boosts. 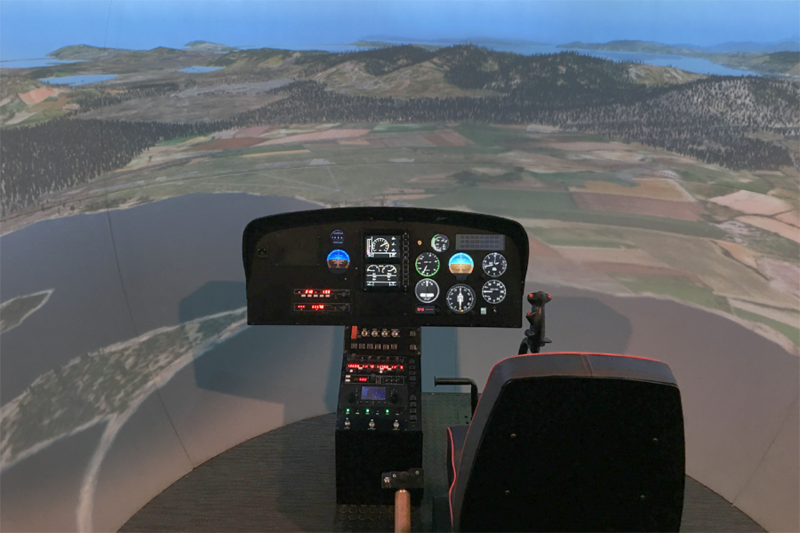 To answer the training needs of such an advanced helicopter GeoSim Technology has created an all-new 412EPI simulator with a high fidelity reproduction of the Bell Basix Pro system, helping to achieve better, safer training. 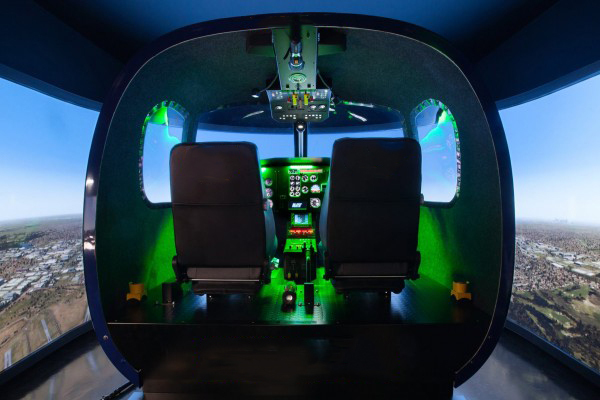 Our unit also features immersive controls modelled off the real aircraft complete with pedals, collectives with 412EPI collective heads and centre console instruments to grab the attention of the pilot and keep them immersed. 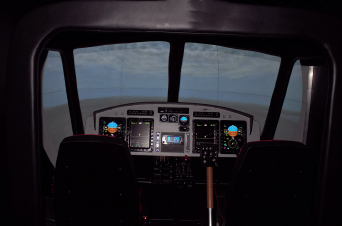 For unparalleled immersion we offer a range of DOME Scenery Systems up to 300° wrap-around screen with vertical curvature to maximise peripheral view - an essential for helicopter simulation. 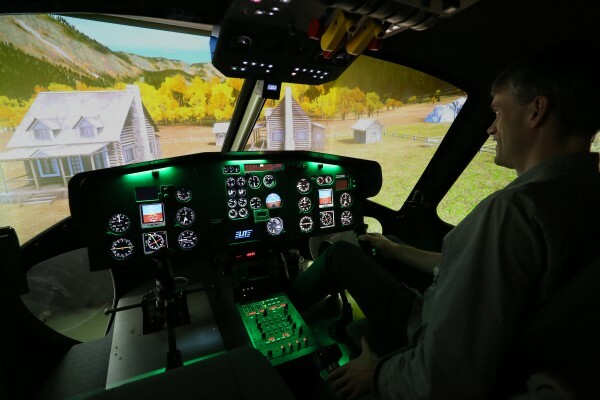 The AS350, or "squirrel", is a venerable addition to many organisations around the world, from local law enforcement to rescues on some of the highest mountains in the world. 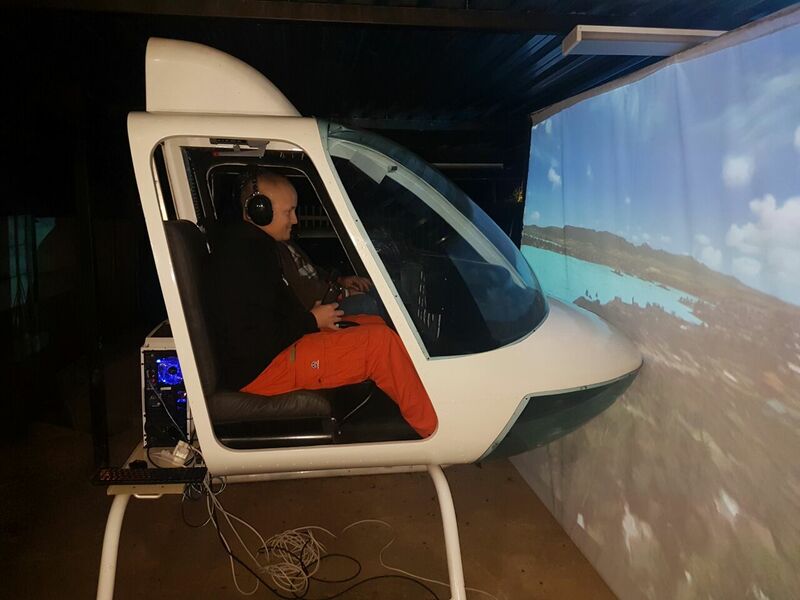 One of our clients even uses it to train for their Antarctic flying, conditions where visual reference may be some rocks in a sea of snow and the horizon can disappear completely! 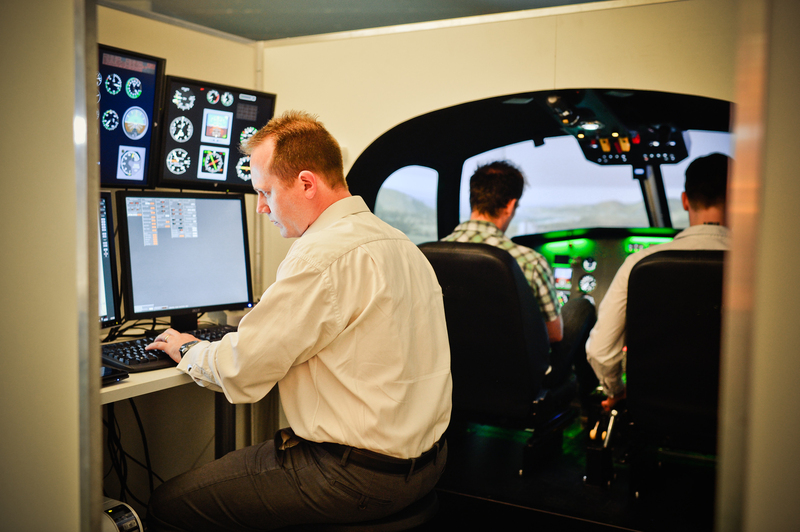 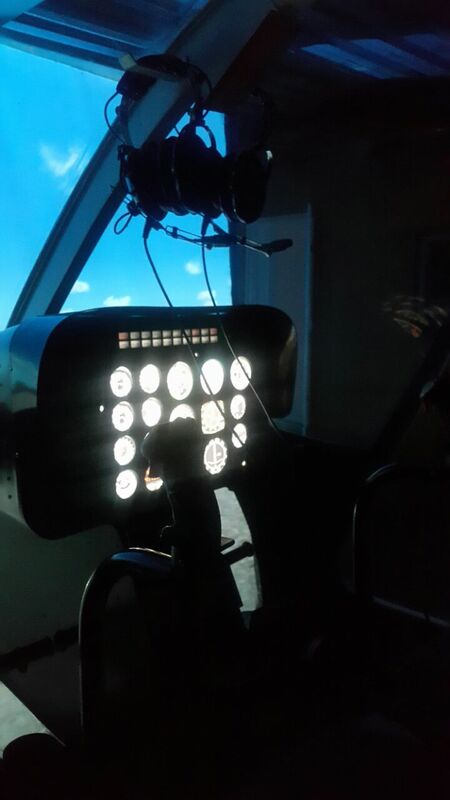 Our unit also features immersive controls modelled off the real aircraft keep the pilot immersed in training. 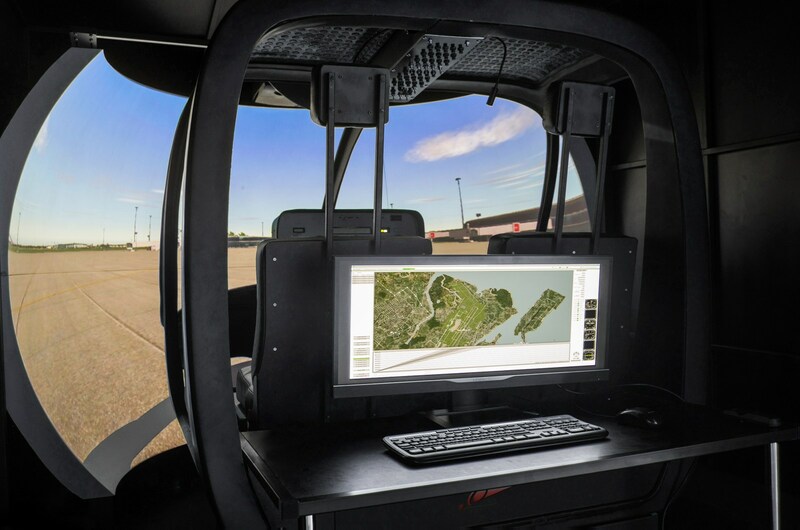 For unparalleled immersion we offer a range of DOME Scenery Systems up to 300° wrap-around screen with vertical curvature to maximise peripheral view - an essential for helicopter simulation. The new Evolution S623T helicopter training device has been customized to the specific requirements enabling the simulation of a twin-turbine helicopter based on the Airbus AS355. 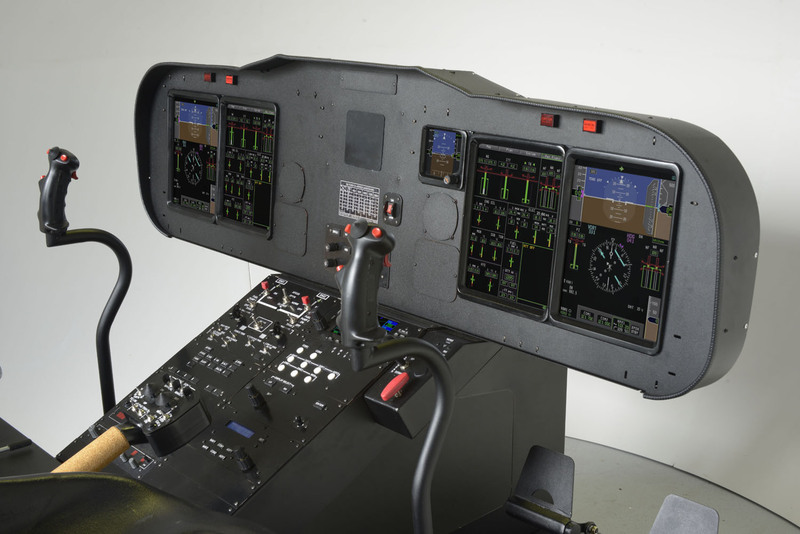 This advanced training device features a four-channel external visual system and a fully enclosed helicopter cockpit with dual pilot instrument panels and dual controls. The S623T has been built to meet Australian CASA category B FSD2 synthetic trainer requirements and has received FAA certification as an AATD for the maximum allowable training credits that can be awarded to a helicopter flight training device. 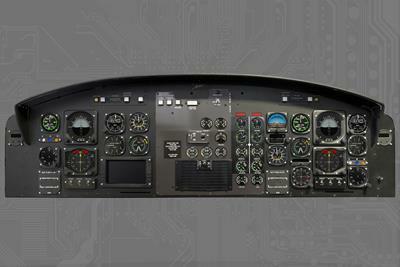 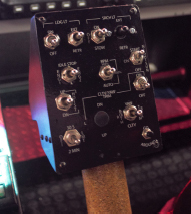 The flight deck is designed to withstand normal loads, shocks and other conditions incidental to normal operation, transportation and assembly. 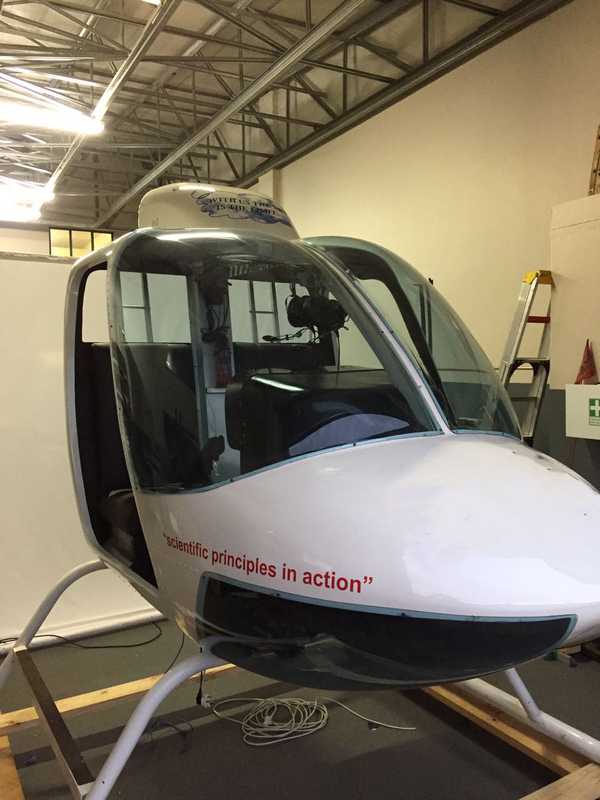 The structure is sufficiently rigid to assure that there is no discernible movement of the Evolution S623T helicopter due to personnel movement or control movement within the flight deck. 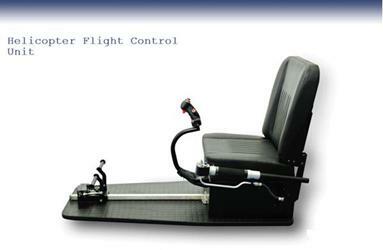 The areas included in the simulator are from the anti-torque pedals to the aft of the crew member seats. 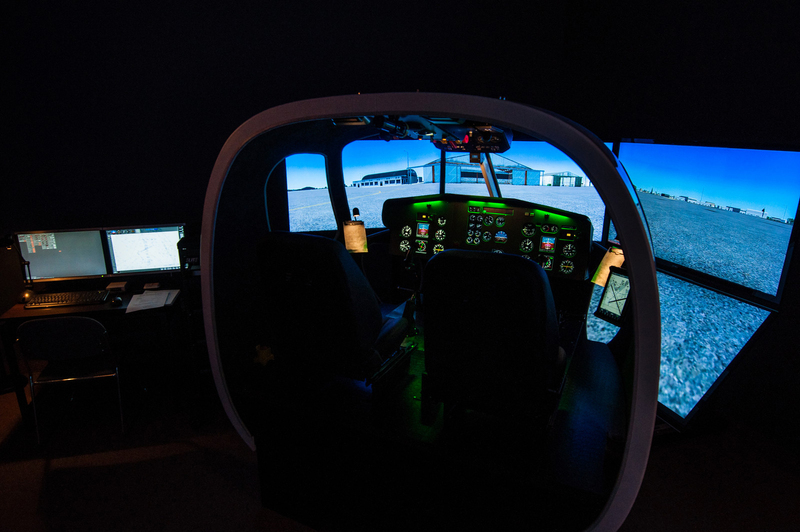 An open Instructor station is external to the flight deck. 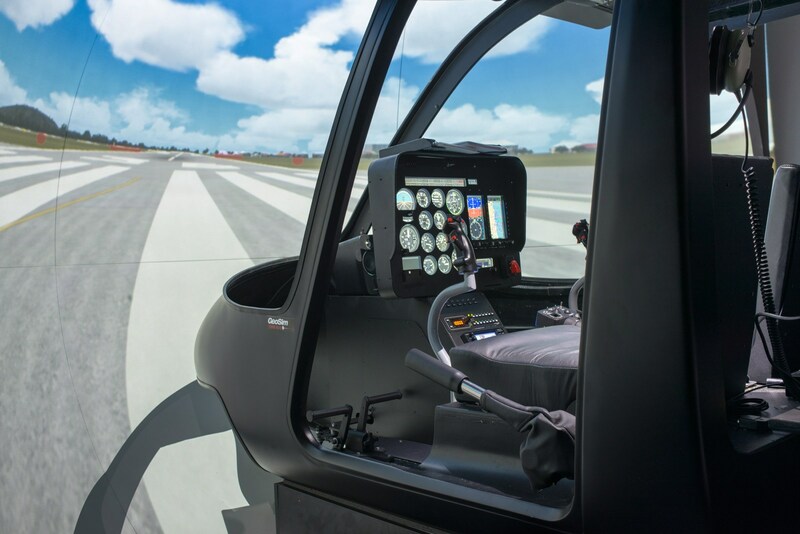 The interior of the flight deck is designed according to the helicopter specified above and provides exact pilot ergonomics. 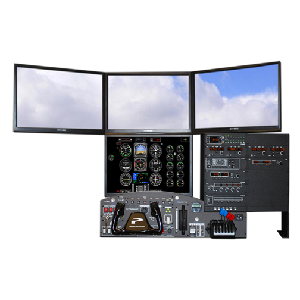 * Full autopilot capability with flight director and navigation coupling to VOR & GPS. 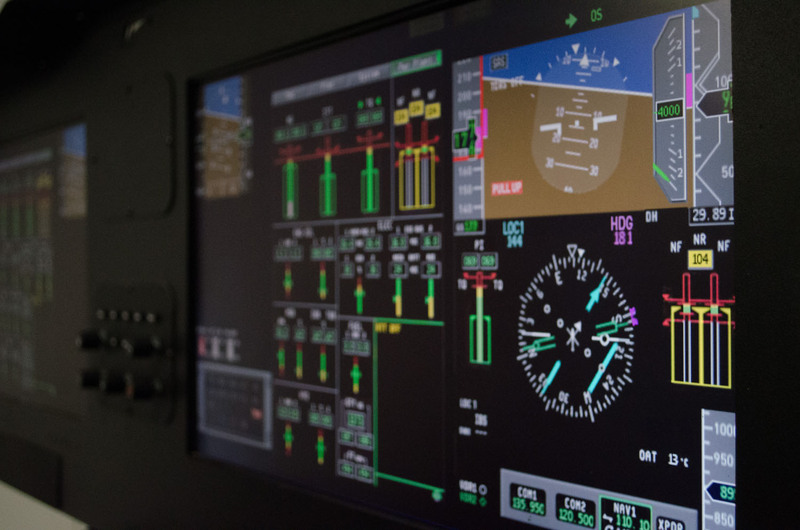 AP can be controlled by Pilot or Co-pilot. 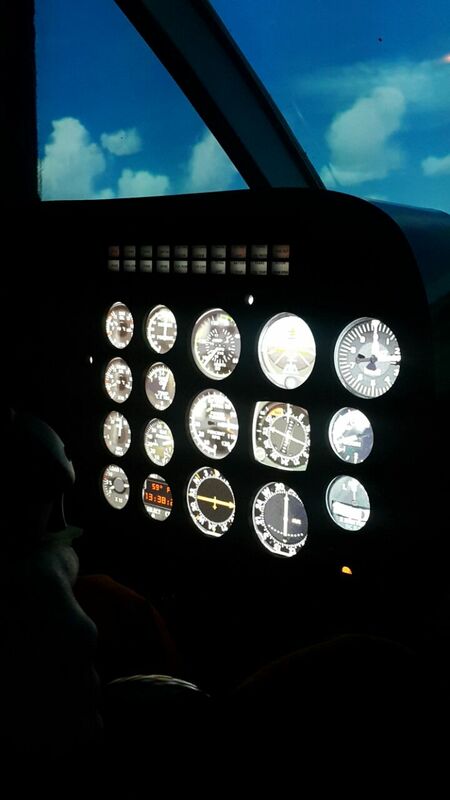 * IFR GPS to TSOC129 standard for IFR flight (choice of Trimble or Apollo). 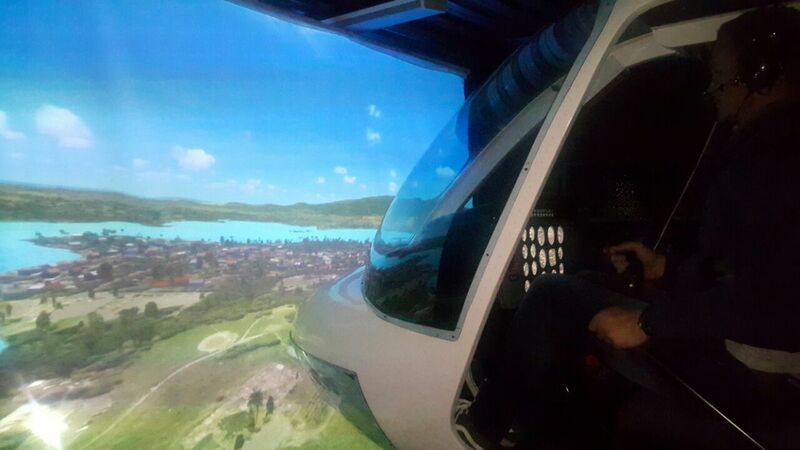 * 120 degree external projected visuals with Pilot chin bubble view. * Full autopilot capability with flight director and navigation coupling to VOR and GPS. 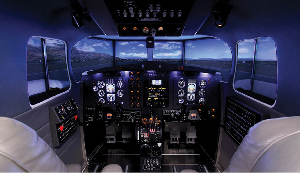 Also meets CASA requirements for recency credits without requiring an instructor to be present.